The 2014 Australian Open concluded on Sunday evening with a result that few would have been brave enough to predict before the tournament began. The Grand Slam of the Asia Pacific has a long history of unearthing a promising new talent or unheralded challenger with Jo Wilfred Tsonga and Fernando Verdasco claiming that mantle in previous years. However, this year’s edition featured the triumph of Stanislas Wawrinka, a man who has the build of a bear and the temperament to match who, at 28 years old, played in his first Grand Slam final and took the title from the world number 1. In his road to claiming the men’s singles trophy, The Norman Brookes Challenge Cup, Wawrinka toppled Novak Djokovic in an epic five set encounter in the quarter finals, dispatched Tomas Berdych in the semi’s and outlasted world number 1 Rafael Nadal in the final in front of a stunned worldwide audience. So how did the man who has consistently been in the world top 10 for the past few years take the final step to Grand Slam greatness? In my post match analysis we look to answer that question right here. Wawrinka earned his place in the final by building his wins on the back of a monstrous serve. While his serve has always been a strength, his first serve percentage was always lower than it needed to be for the shot to be a true weapon at the highest level. In this Australian Open, however, he took the inconsistency away and built an almost impregnable service game, which was especially on show against the top 10’s Mr Consistency, Tomas Berdych in the semi final. He sent down the most aces for the tournament with 81, which was 30 more than countryman Roger Federer and more than 50 in excess of the man he defeated, Nadal. In the final this dominance was underscored with the man nicknamed the “Stanimal” sending down 19 clean aces to Nadal’s single ace. He also won 87% of the first serves that he landed in, which went a long way to winning the final. Wawrinka’s backhand is rightly seen as one of the most pure and effective on the tour. While Federer’s one handed backhand is often lauded for its artistry and clean winners, Wawrinka’s is the equal of the Swiss master’s signature stroke. As a result, stronger opponents often hit wide to the forehand side of Wawrinka to minimise the effect that his precise and powerful backhand could have on points. In the Australian Open final this trend reversed. Wawrinka’s less notable and unheralded forehand was the source of over two-thirds of his winners for the match, doubling the number of backhand winners that came from his racquet. By turning what was seen as his weakest shot into a weapon, Wawrinka likely threw some of Nadal’s match tactics into disarray. The pressure point that he was hoping to focus on and exploit for some cheap points was non-existent, something that visibly rattled the Spaniard. Tennis is a game of ebbs and flows, and it is amazing how many long matches will swing from a 2-0 advantage to a 3-2 loss on the back of a huge momentum shift. This was a real danger for Wawrinka from early in the second set when Nadal’s injury woes began to trouble him, and an extended medical time out and frequent on court treatments had the potential to derail the Swiss player’s momentum. This was evident especially in the third set when a number of unforced errors crept into his game with attempts for huge winners to early in the point, rather than patient, constructed build up that had served him so well until that point. From a coach’s perspective, the most important thing is to focus on your own game, not the player opposite, and Wawrinka did this superbly in the fourth set by refocusing and returning the tactics that had served him so well in the first set, when he completely dominated the game. In doing so, he blocked out the distraction of his opponent’s injury, the antics of the crowd and his frustration at the officials which ultimately served to strengthen his game and deliver the win. 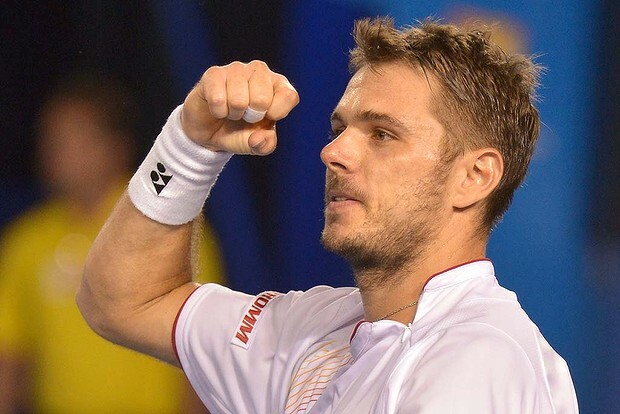 The Australian Open 2014 was one of the most entertaining and unpredictable editions of the tournament to date, and the man responsible for many of the highlights, Stanislas Wawrinka was the eventual victor. As the only man in twenty years to defeat both the first and second seeds on the way to the title, he is a deserving winner, and now has the potential to deliver consistently on the highest stage. From "Australian Open Final Review – Nadal v Wawrinka" To "How To Play Tennis Efficiently And Become A Better Player"